What do cat pictures, ad-blockers, social platforms, and The Great British Bake Off all have in common? What do cat pictures, ad-blockers, social platforms, and The Great British Bake Off all have in common? Q: What do cat pictures, ad-blockers, social platforms, and The Great British Bake Off all have in common? A: Each has become a talking point for some customers’ dislike of advertising. As marketers, we should take this phenomenon seriously and ask ourselves what we’re doing wrong, and what we could do to help. Marketers: stop being ‘them’ in an ‘us and them’ world. 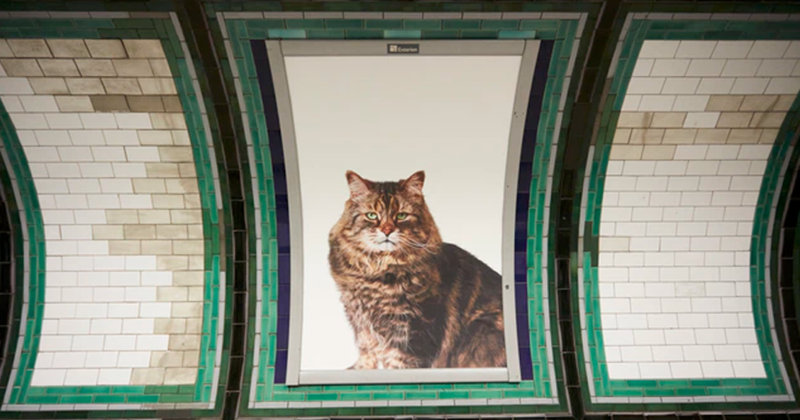 A Kickstarter-funded movement called the Citizens Advertising Takeover Service (CATS) recently replaced nearly 70 adverts at London’s Clapham Common tube station with pictures of cats – in many cases, images of the crowdfunders’ own pets. While you might think that such a stunt is twee or belongs in a hipster hinterland of craft beer and beards, it had a serious purpose. It was the brainchild of James Turner, founder of Glimpse, an organisation for creative people “who want to use their skills for good”. The suggestion, then, is that advertising, that most creative of mediums, is somehow not “good” and that Turner’s organisation offers a glimpse of a better world, in his personal view. One critic slammed the group for forcing the public to pay money for an ad-free experience, but that’s no different to Spotify’s business model. And crowdfunding is hardly coercion. CSR is a vital component in marketing for similar reasons: customers’ support for values such as community investment, equalities, and ethical supply chains. But back to CATS. This inspired piece of self-marketing achieved its purpose: it made people share the story and talk about its headline aims. But the campaign’s most interesting message was hidden in plain sight: “a world where friends and experiences [are] more valuable than stuff you can buy”. That’s a well-timed idea. Consider our social networks. In our private lives, social platforms and apps feel like our spaces, the places where we meet to share our lives with our loved ones, families, friends – and sometimes colleagues. Social platforms are about the concept of ‘us’, not ‘them’. This is the reason why many people resent marketers intruding too far, too bluntly, or too noisily into those spaces, in the way that salesmen sometimes do in the bricks-and-mortar world, shouting at them from every advertisement hoarding. Of course, many online communities remain free to use because of advertising, but, it must be said, also because customers give away a great deal about themselves to marketers. They’re paying to use these platforms with the only currency that counts: their personal data. LinkedIn was once a networking, blogging, and CV-management community for professionals, but it’s now bursting with corporate memes, sales pitches, and advertorial. When Microsoft bought the platform earlier this year, the personal data of 440 million people was the key asset in the $26 billion deal. 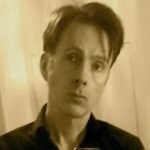 Today, LinkedIn feels less welcoming than it did, less personal, and more like a rush hour tube station full of noisy ads: it’s becoming more ‘them’, and less ‘us’. For any social network, that represents an existential crisis. It’s not an isolated problem. Were we to zoom out to see the first quarter century of the World Wide Web from a critical distance, we’d see its roots in sharing open data and research to benefit society twist and grow into our present-day Web of noise and intrusive sales pitches. As an industry, we need to think about why we sometimes appear to be engaged in a hostile arms race to push our messages in customers’ faces. In many cases, those people are now actively trying to stop us, via ad-blocking software and other tools: technology that threatens some platforms’ existence. Such a combative relationship ought to be inimical to a marketing programme. We should pay attention when a customer slams the door in our faces. We’ve all seen those portals where ads follow the reader down the page, or suddenly appear and obscure the content we’re reading, or are hidden in buttons that appear to have an editorial function. And we’ve all used those platforms where people are forced to see the same 30-second advert again and again just to watch a 20-second video of something they like. Such campaigns are not the innovations we imagine them to be, but a source of constant anger to customers. They’re a step too far: we’re hassling them. We should leave our customers alone more often, and respect their privacy and their right to read something without our messages always getting in their way. Sometimes we need to be quiet and respect our customer’s personal spaces. Which brings us to the the BBC’s loss of the Great British Bake Off to Channel 4 (aka the Breadxit). For its millions of fans, Bake Off feels like a quiet, very ‘us’ programme, as opposed to the ‘them’ atmosphere of other reality shows (which are as much about the judges as the contestants). For those people, the move to Channel 4 signified something unthinkable: advertisement breaks in their favourite programme, perhaps even sponsorship or product placement. That might be over-egging the cake, but the petition already has tens thousands of supporters: hardly a public vote in favour of the advertising and marketing industries. Face it: advertising is becoming unpopular with some customers for a reason. We’re making them angry with the cumulative effect of too much, too often. We need to do better. We need to stop being the ‘them’ in an ‘us and them’ world.